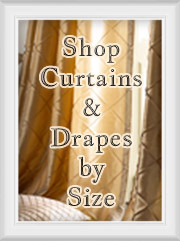 Shop Ready-made Curtains & Drapes by Size : Most Sewn in USA! 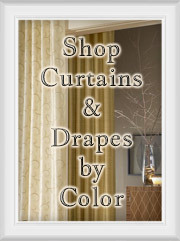 Shop Ready-made Curtains & Drapes by Color : Most Sewn in USA! 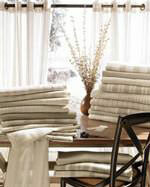 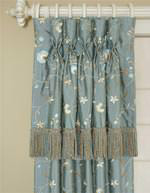 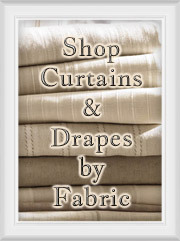 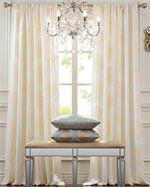 Shop Ready-made Curtains & Drapes by Fabric: Most Sewn in USA! 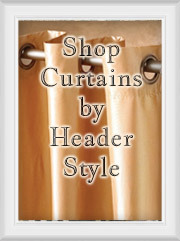 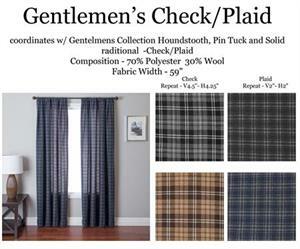 Ready-made Curtains & Drapes by Header Style: Most Sewn in USA! 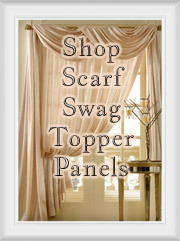 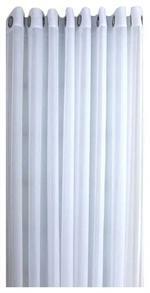 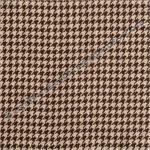 Shop Scarf Swag Topper Curtains : Most Sewn in USA! 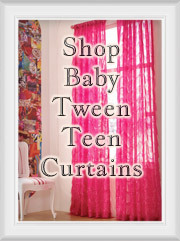 Kids Curtains: Tween, Blackout for Baby, Outdoor fabrics for Easy Clean! 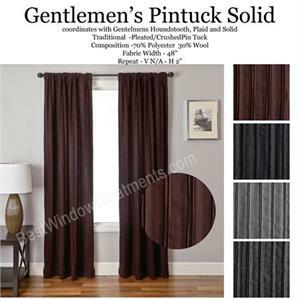 Curtains and drapes are a popular way to cover and enhance windows with an interior design element that adds something unique to your home. 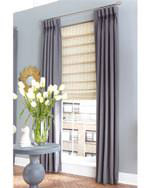 Not only do window treatments provide insulation properties that save on energy, but they can turn a nicely decorated room into a finished showpiece. 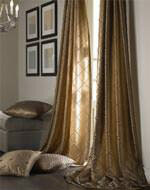 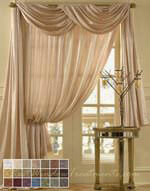 Curtain Panels, Tiers, Scarf Swags and Valances - the window curtain selection is endless. 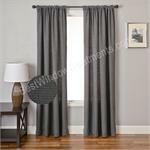 We offer ready-made drapes that have custom options - add lining, interlining, blackout and grommets or back-tabs and select from a number of standard (84", 96") to extra long draperies in 108" inch or in 120" inches length. 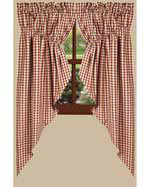 Plus, we do COM (Customers Own Material). 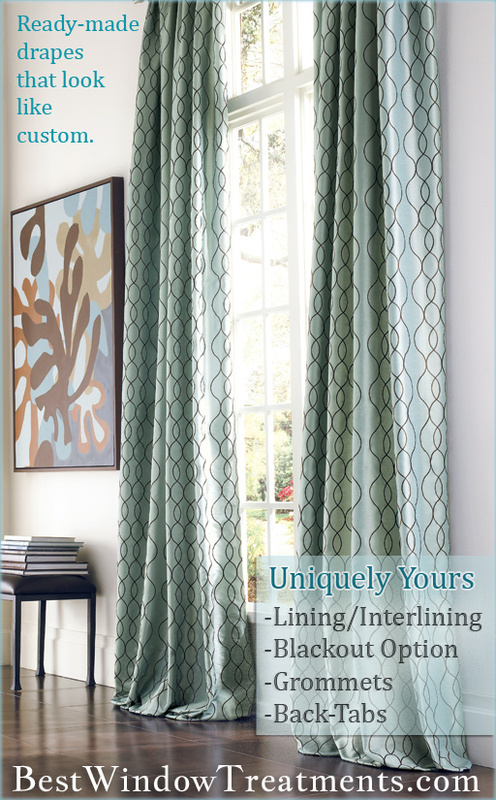 If you find a fabric in our ready-made collection (or elsewhere online) that you need completely custom window treatments (extra wide draperies, fabric roman shades, top treatment) - contact us for a quote! 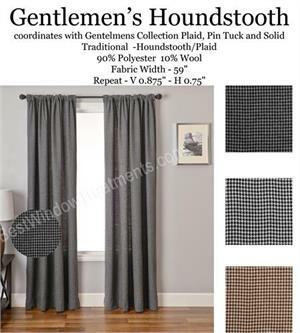 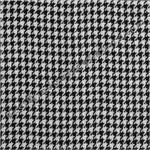 Many of our fabrics can be ordered by the bolt for a made to order custom window treatment design, especially to fit to your exact needs. 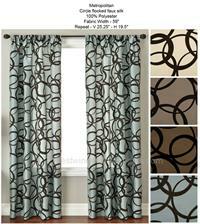 "I just wanted to let you know that I received the panels yesterday and put them up last night. 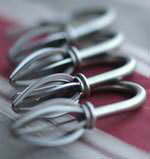 They are absolutely beautiful. 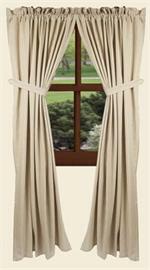 Thank you so much for handling the shipping error so efficiently. 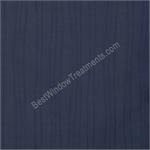 I will definitely use you in the future and refer you to all my friends." 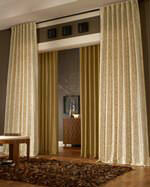 "We have looked for months for the right fabric for our curtains. 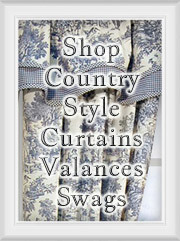 We must have visited dozens of websites and stores. 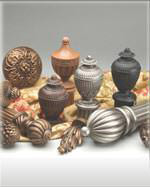 Your online selection and pricing really is the best. 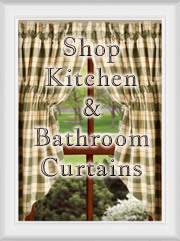 We hope to do business with you again! 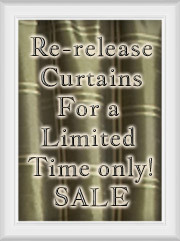 We have permanently saved your info, so we can find you right away."